When you go to a huge conference that you've never been to before, where your field is only a small part of the conference and there are multiple panels devoted to things you never even knew people studied, it's wonderful. You don't feel obligated to attend every possible panel but can wander around and enjoy the city. You can also drop into some of those panels totally unrelated to your field and just enjoy the presentations that sound interesting. You might learn something about Fountain Pen Studies or Wookie Genealogy or the Numerological Symbolism of Divination Techniques that will be useful, but you don't have to. It's a wonderful feeling. Here's an etiquette question: say you're one of 4 people in an audience, and the other three are obviously friends of the three presenters. A question gets raised about a work you know well, and the presenters and audience are all agog with the implications of this question, which they've obviously never heard about before, though it's a routine one in the criticism. Do you (1) raise your hand and explain this or (2) sit on your hands and keep your mouth shut, since you know they'll figure it out if they research it? I chose (2) because I didn't want to be That Person, but I wonder if I did the right thing. Because of the conference and other matters mostly relating to the book, my writing streak is seriously broken, but I'm getting back to it today. Huffington Post distilled the New Yorker piece on writing inspiration down to a 10-point listicle for the TL;DR crowd, but I can't link to it because I have never clicked on a HuffPo link that went where it said it was going to go. HuffPo is as bad as the other aggregators with the click-n-switch annoyance, so I don't want to subject you to the same frustration. The Amazon Dash, the "awesome Cue Cat of 2015" that I wrote about last year, is real, and Amazon is extending it to things like breath mints (insert your own joke here) and cat litter. By the way, I think there is a market for packaging cat litter in smaller packages, because elderly people have a hard time lifting the 35-40 lb. packages that the rest of us carry around. Even if they can get it to their cars with the help of the grocery store baggers, they can't carry it into the house. One of the sessions listed in #2 is something I actually attended. 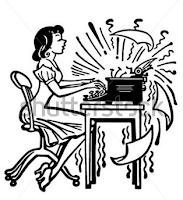 That, in the end, seems to be the main message of research into writer’s block: It’s useful to escape from external and internal judgment—by writing, for instance, in a dream diary, which you know will never be read—even if it’s only for a brief period. I'm glad to hear this. I started keeping a dream journal of sorts about four years ago, and while I can't prove that it's helped, simply writing things down seems to have made things better. I don't write the dreams down here, usually (some exceptions: the Mad Men writing group, hiking dreams, and blog wonderland), but a lot of times I dream in movies--that is, watching a movie that I wrote and directed. Sometimes they're just comic skits but more often whole movies. Move over, Stephen Spielberg and Martin Scorsese. Seriously, though, the stories I tell myself in my dreams have, I think, gotten less formulaic and more creative since I've been writing them down, and writing while dreaming has to help with writing while not unconscious. And recently the whole work process has gotten easier--lots of ideas and a willingness to work on them. There's still a little dither and blather early in the morning, but this week (spring break) I've been moving from writing on Thing 1 to revising Project A to drafting Project B to editing project C. And I want to work on them. That's the most amazing part. 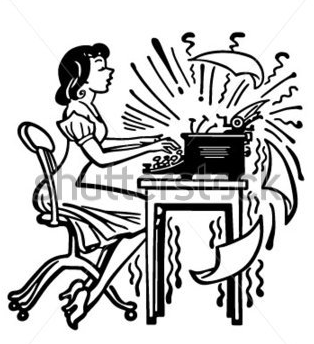 Reconciling myself to the idea that, rain or shine, the only time I want--really want--to write new and creative things is after 7 p.m. and deciding that it's okay to do other things (edit, revise) before that. If you sit down to do it every day, who cares if it's 7 p.m. or 7 a.m.? Building in little breaks with Pomodoro. Sometimes when I've been concentrating on a paragraph or sentence, even a couple of minutes of distraction (news sites, a glass of water, putting in a load of laundry) sends me back to it with a fresh perspective. Logging the work, in the spreadsheet and in a little time notebook that I've been keeping. Getting the reward of an X in the box at 750words.com. Nicoleandmaggie have the second in their series of writing productivity posts up; go read it. Unless someone forces me, I'm always going to fail on two of the measures: (1) drinking coffee (never learned how) and (2) writing in the morning. But this week is showing me that those aren't the only ways to go. Every day on the interwebs, I see new words that no one defines but that everyone seems to understand all of a sudden. I've seen "neoliberalism," which is something unspecified but very, very bad, and "intersectionality" (ditto), and "woke" as an adjective meaning "awakened." Do I need to look these words up every time I encounter them? What you're encountering is the beauty of the interwebs. It used to take a longer time for words to trickle through the culture, but now they take over like a torrent. It makes for lively writing and an interesting culture. Here's a tip, though: do not simply google a word, especially if you aren't sure how it's being used, since there may be some regrettable, never-can-be-unseen images attached. Try Urban Dictionary instead. Are these expressions cliches, or are they true? 1. "The perfect is the enemy of the good." 2. "The best dissertation is a done dissertation." Both. And do you know what they call people who are not afraid to be a cliche? Ph.D. Sometimes when I am very tired, I watch House Hunters or House Hunters International. Don't judge me, Ms. Undine. IHE says we can learn from this show. 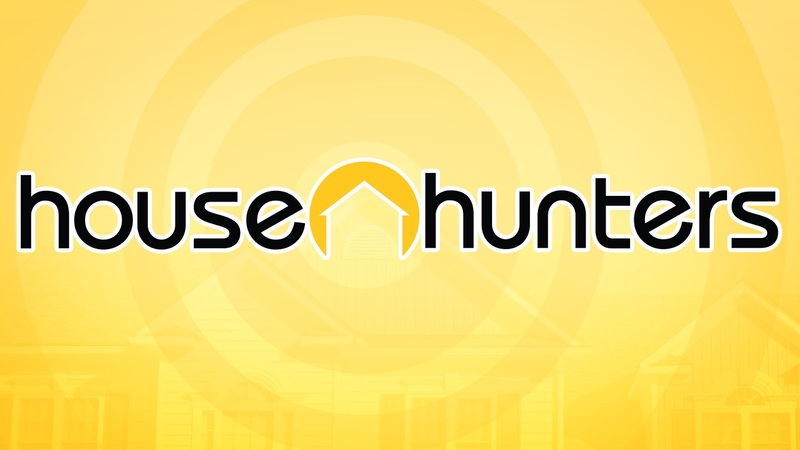 The house hunters used to be can-do types. "We can fix this," they'd say upon encountering a roofless shell with three crumbling walls. Now, however, they mostly focus on their needs: "It needs to be an older house with charm, but totally modern rooms and bathrooms the size of an airport, in a perfect neighborhood." They also spend a lot of time ridiculing the homeowner's taste, like Ortho in Beetlejuice. Remember him? "Deliver me from L. L. Bean!" 1) How do the homebuyers, who usually give their occupations as something like "freelance artist" and "visionary entrepreneur," afford $500,000 houses? 2) Am I a sociologist or a schadenfreude-filled hate-watcher for silently cheering when some of the more obnoxious homebuyers fail to get what they want? 1) If you find out, please let Ms. Undine know. 2) Why did you pose this as an either/or question? Who are you, Pierre Bourdieu?